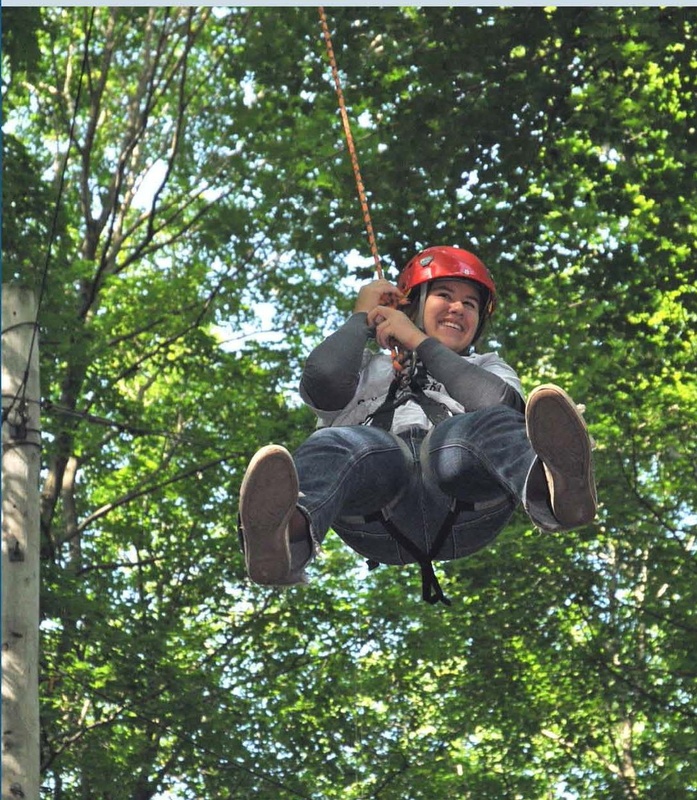 The Challenging Outdoor Personal Experience team at Mount Allamuchy Scout Reservation has partnered with the Watchu Experience to provide two special team-building opportunities for both advisors and crews. Watchu Advisor COPE is offered one day only during the Watchu Mountain Adventure. Crew advisors learn team-building concepts they can apply training their crew, and have the opportunity to stay for dinner with the Watchu staff to gain insights about Philmont and the Watchu Experience. Watchu COPE is a full day low course program specifically designed to help your Philmont crew become a well-functioning team. Watchu Advisor COPE will be held Saturday, May 3, 2014, on the low COPE course at Mount Allamuchy Scout Reservation, located along the road to Camp Wheeler. This program is for adult advisors only – youth members of the crew are not eligible to participate. The half-day of COPE activities will begin at 1:00pm. The program will concentrate on team-building concepts that advisors will be able to apply toward training the youth members of their crew. Following the afternoon on the COPE course, advisors are invited to dinner on Watchu Mountain at 5:00pm. Continue up the road to Camp Wheeler, park in the parking lot and walk up the hill to the dining hall. Learn about Philmont and the Watchu Experience while dining with the Watchu Mountain Adventure staff. Register NOW! Slots will be filled on a first come, first served basis, and the program is limited to a maximum of 20 advisors. The session is subject to cancellation if a minimum of 9 advisors have not registered by the Mid-April deadline. Upon payment, your $15 Watchu Mountain Outfitters voucher will be validated – use it at the Trading Post on Watchu Mountain or anytime afterwards. A day of COPE (Challenging Outdoor Personal Experience) is the perfect way to mold your crew into a smoothly functioning team and to prepare the youth members for the responsibility of leading it. Project COPE incorporates a series of outdoor challenges designed to foster problem solving and teamwork in a group setting. At Mount Allamuchy Scout Reservation, the focus is on fun filled challenges. Most people find that they can do much more than they initially thought. By the end of the program, participants learn more than they ever expected. All activities are “Challenge by Choice.” Everyone is encouraged by staff and team members, but no one is forced to participate in the activities. Communication : Encourages real learning of critical listening and discussion skills important for any group attempting to accomplish difficult tasks. Teamwork: Teamwork is the key that allows a group to meet a challenge successfully. The COPE experience makes it clear that each individual can accomplish more as a member of team, than going at it alone. Trust: Participants completing difficult tasks on a COPE course develop trust in staff members, the safety of the course, other team members, and themselves. Leadership: Leadership is given and assumed naturally, and can be expressed in many ways. Team members will have many opportunities to develop and exercise leadership skills. Decision Making: Groups make decisions by developing one or more solutions to a problem, considering the available resources and alternatives, and evaluating the possible results. Problem Solving: Challenges groups and individuals to develop solutions to interesting problems. Participants test their solutions and evaluate the results. Self Esteem: Meeting the challenges of a COPE course allows individuals and groups to develop self esteem, and encourages them to adopt challenging attainable goals. Call Mount Allamuchy Scout Reservation at 973-347-3266 or 201-923-2392 to reserve your spot. Specify that you want the full day of low course Watchu COPE at $15 per person.